Who knew just a little shine could make such a difference? There is something so lush and glamorous about high glossified walls. It reminds me of freshly polished nails when the topcoat is shiny and reflective. 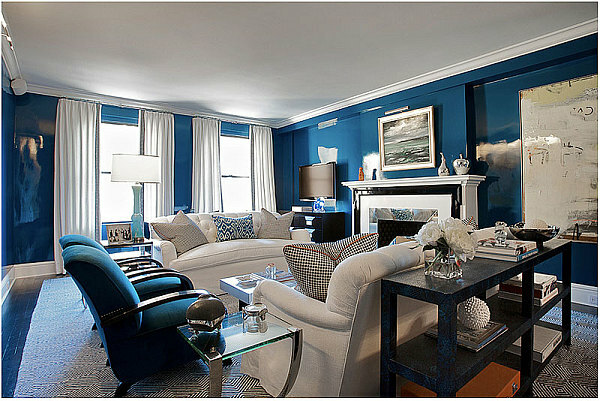 Lacquered walls are definitely for those who are bold at heart and like a more uncommon finish on their walls. I've personally always been drawn to interiors that have high gloss finished walls, and I admire a home owner's courageousness especially when they lacquer their walls in an unexpected color. 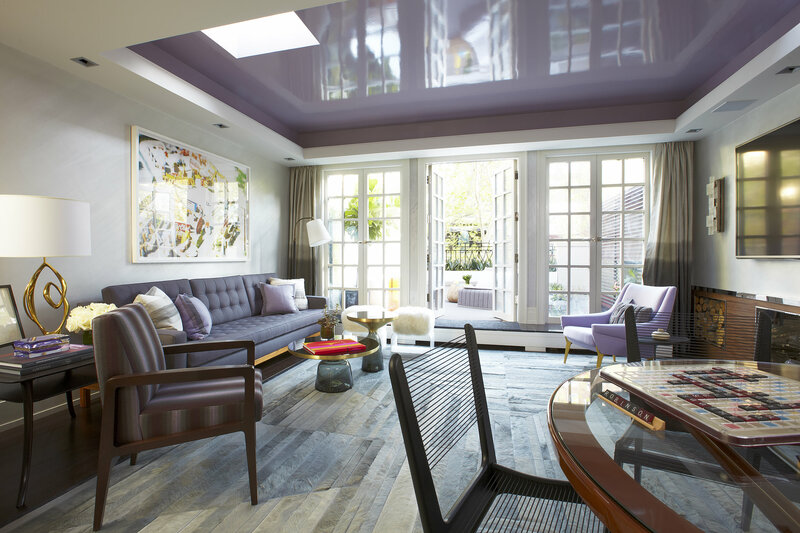 Speaking of color, interiors with lacquered glossy walls tend to be very bold in color which adds to the dramatic flare they bring to a room. However, I think a neutral colored lacquered wall is just as chic. If you're not a fan of glossifying the walls, the ceiling is another commonly overlooked area that would look amazing with a glossy coat of paint. Although the result makes a big impact in a space, preparing and priming walls for high gloss paint is no joke. Since the gloss will show every crack and tear, the surface has to be completely flat or flawless. It's definitely not a DIY project unless you know what you're doing, and better off left to the professionals. It's also not good for areas where there will be a lot of finger-traffic since the paint will show all the oils and smudges from fingers. Subsequently, it might not be the best finish in a bathroom or kitchen. However that being said, the finish is so non-porous, that most smudges, dirt, and particles can be easily wiped off. 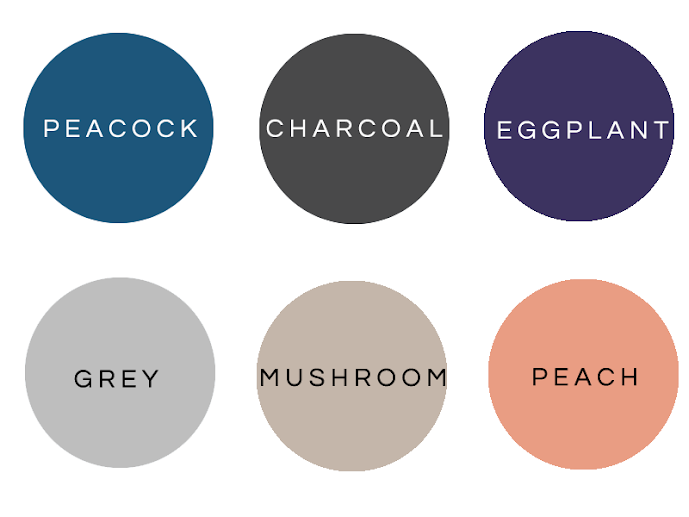 Since this home discourse post is just about high gloss paint, instead of linking to individual items like I usually do at the end, I'm going to pick six colors that I think would look great in a high gloss finish. Of course, you don't even have to go with color and go with white walls instead. Or if you're really daring, high gloss black walls.